Amanda and I recently celebrated our 8th wedding anniversary. 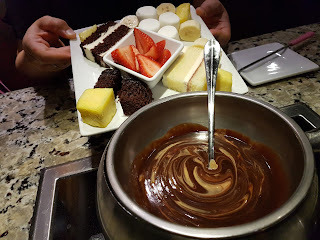 We have been wanting to try The Melting Pot Edmonton for a while but they are always booked! But this time, I managed to snag a reservation two weeks out! When booking my reservation, I made sure to note a gluten free meal, so when we arrived at our table, the server was already on the ball, and knew we were having a gluten free meal and went over the menu with us, which was basically open except a few things. So I won't really go over all that here, but I want to give a few tips. Like any restaurant, cross contamination is an issue. 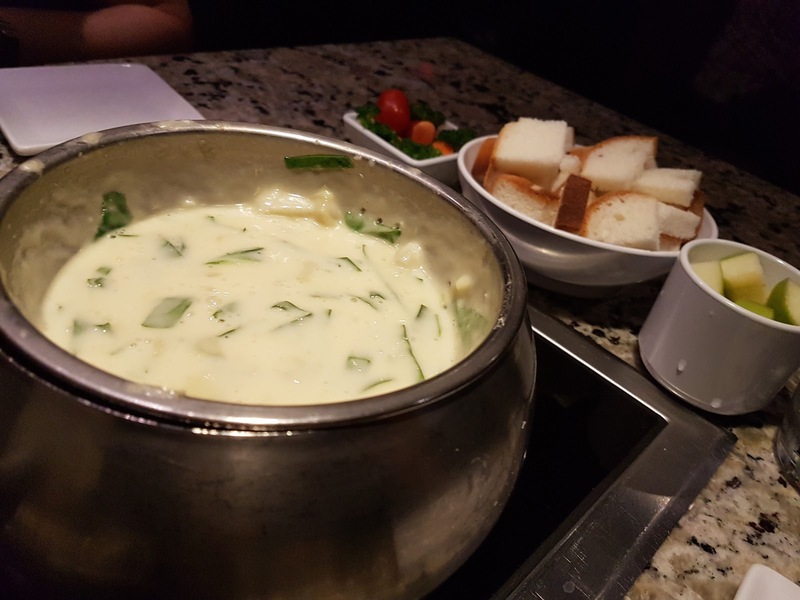 Know that when you eat with a group, it is better that the whole group eats gluten free so the fondue pot is not being contaminated. This includes sauces etc. 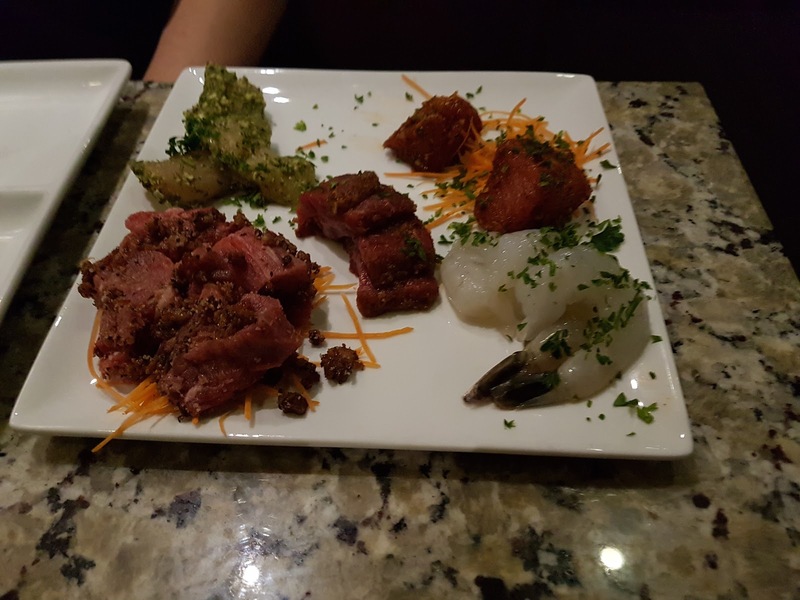 Go over the menu with the server, so you know what is, and what is not gluten free. They will be happy to help. Don't look so shocked when they bring you a plate of gluten free brownies and cake for dipping! Scroll right to the bottom for lots of yum! Above, we chose the spinach and artichoke appetizer. The wait staff prepped the fondue in front of us with some veggie broth, cheese, artichoke hearts and spinach. It was served with gluten free bread, veggies and apple for dipping. Next course was salad. 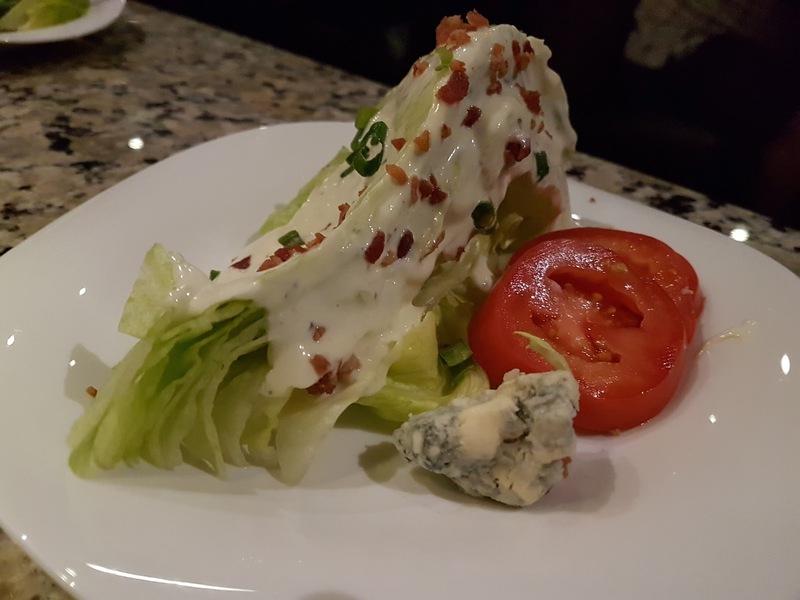 Above is the wedge salad with ranch, bacon, Gorgonzola and slices of tomato. 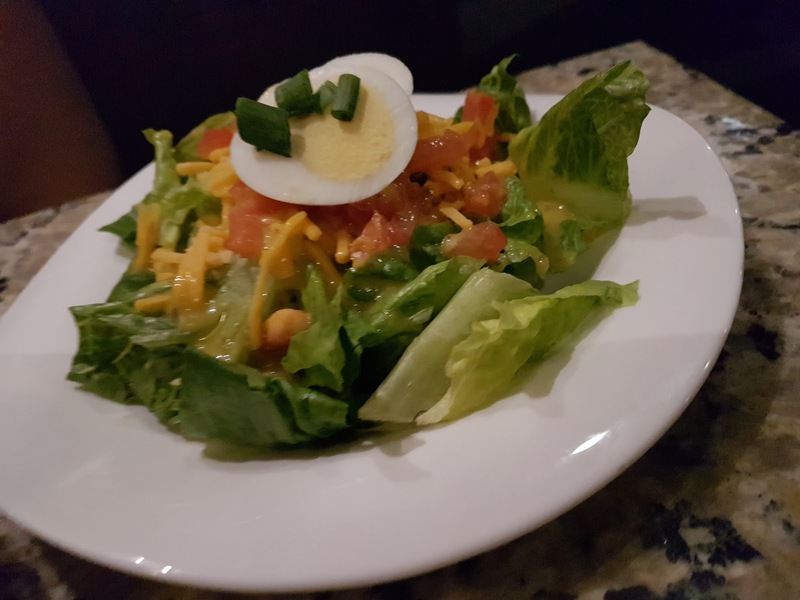 Below is their house salad with a mustard dressing with egg and tomato. 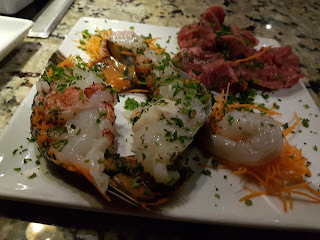 For the main course we decided to order our own plates and share. Above is the surf and turf and below is the traditional. There were a couple items that were not gluten free, so they just swapped out to any protein of our choosing. Yum yum yum yum. I forgot to take a picture of the broth we cooked this in. The waitress gave us the cooking times. Below is all the sauces they gave us (minus two that were not gluten free). 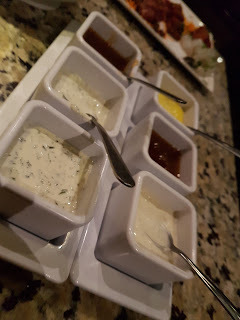 I can't remember all of them, but I remember a few being a currie, a blue cheese, and a sweet and sour. Now for the star! Dessert! OMG! We ordered the original with chocolate and peanut butter. They served it with to slices of gluten free cake and a piece of gluten free brownie! yum yum yum yum! It was also served with pineapple, banana, strawberry and marshmallow. Personally, the marshmallow was my favourite to dip! 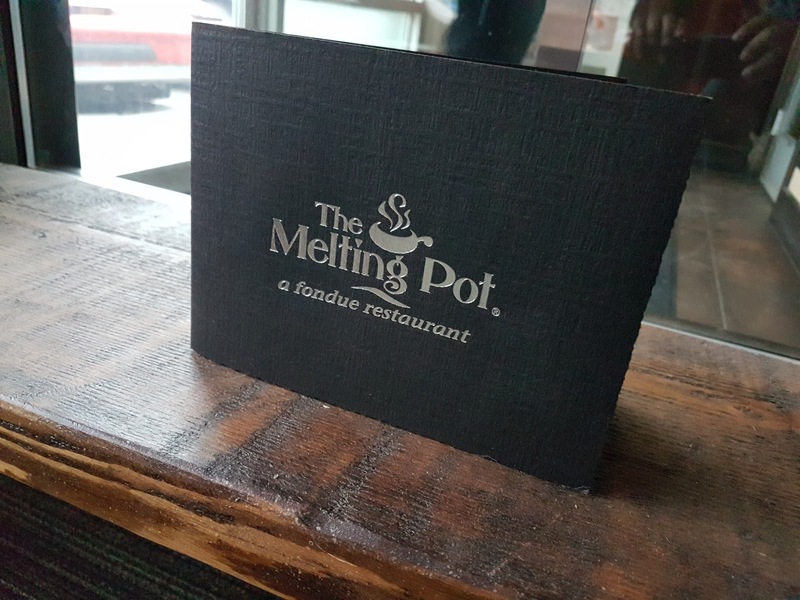 So basically, you should eat here!